(CNS): A science class from Clifton Hunter High School took to an East End beach last week to clean up the shoreline off of Spotter’s Way. 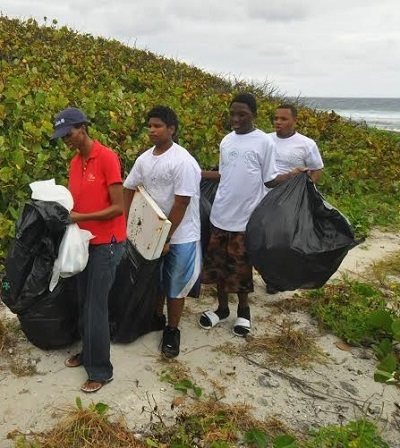 Armed with bags and gloves donated by the Department of Environmental Health, the twelve students descended upon the remote beach, where they collected 28 bags of garbage and recyclables that had floated in from around the world. Among the more interesting finds were an inflatable pontoon and a refrigerator door. Linda Locke of the Reef Resort the closet accommodation to the beach, joined the crew and provided dry-fit T-shirts for the group. The resort also provided a free meal and drinks for the students afterwards. More community support came from White Sand Water Sports which donated a ride on their newest attraction – the Jetovator. One student collected six large bags of rubbish and will be enjoying an airborne outing on this latest water adventure invention. (CNS): Drugs, drinking and driving, jumping and breaching bail, disorderly behaviour, assault, indecent assault, burglary, credit card cons and robbery were some of the crimes that the police rounded up suspects for in a 24-hour period, starting on Wednesday when the arrests began with a crack-cocaine drug bust in West Bay. “The holiday season, which is in full swing, gave cause for members of the RCIPS to step up their vigilance in making this festive season safe,” a spokesperson said Thursday, as the list of arrests was revealed, including two Clifton Hunter High School students who were arrested on suspicion of possessing a small amount of ganja. 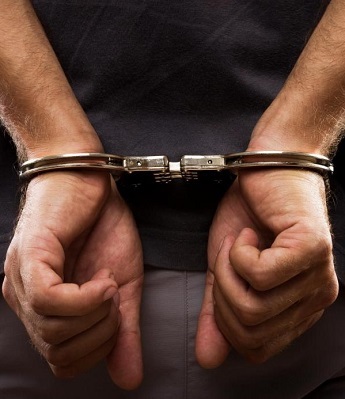 In Bodden Town police arrested three drunk drivers, while in West Bay a 35-year-old male resident was arrested for assault occasioning actual bodily harm after an altercation with a family member. On Cayman Brac a 53-year-old man living in Creek was arrested by officers for the indecent assault on a young female. 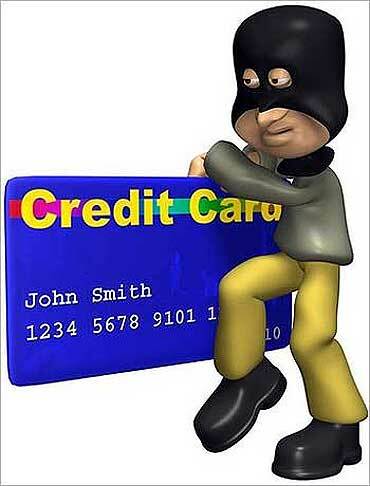 The police also arrested four Romanians, who remain in custody, over the last two days for a credit card scam. (CNS): Detectives from RCIPS Financial Crimes Unit have arrested four Romanian men aged between 33 years and 42 in connection with allegations of cloning credit cards. Two of the suspected con artists were arrested Tuesday 16 December and the other two yesterday, Wednesday 17 December on suspicion of obtaining property by deception. The men, who were said to be visiting the Cayman Islands for the first time, are accused of skimming, where they used cloned credit cards to purchase merchandise from local business establishments. The men remain in custody pending a legal ruling from the Office of the Director of Public Prosecution. Detective Inspector Ian Lavine of the FCU advised local businesses to be vigilant during the festive season. He said that people paying by credit cards should produce a form of identification and that sales agents should check that the method of identification matches with the name on the credit card. This is not the first time that Cayman has been targeted by gangs of con artists using cloned cards. In 2013 a gang of three Malaysian credit card con men using the same scam attempted to purchase high-end watches and diamonds at a number of local duty free stores before they were arrested. The men were sentenced to 16 months in prison in March and April of this year and ordered to be deported once they are released. (CNS): A burglar made off with a significant television haul on Cayman Brac some time Wednesday night and Thursday morning, police have said. Officers from the Brac police station are now investigating the residential break-in which happened in the Southside Road East and Ashton Reid Drive area of the island. The crime was reported to police just after 7:00am Thursday when the owners said four black Sony Bravia TVs, sized as, two 52 inch, one 46 inch and one 32 inch were stolen along with a quantity of alcohol. The public are asked to contact Chief Inspector Frank Owens on 948 0331 or 516 6100 if they have any information, have seen any suspicious persons or vehicles in the area or if they are approached by anyone attempting to sell the stolen goods. (CNS): More than three hundred and twenty comments were posted to the CNS website in the two-day period after the news story regarding the health minister’s profanity-littered tirade on his chief officer was published at just after 11:30 on Tuesday morning. Osbourne Bodden’s outburst has stirred up a public storm that the government may find hard to ignore, despite its best efforts. So far, with the exception of a short statement from the premier’s office saying that CO Jennifer Ahearn had reported the incident to the deputy governor, that the minister had apologised in writing and that there was a plan in place to address the issue, the country’s leaders have been less than forthcoming about the incident and the calls for Bodden’s resignation. The member for North Side told CNS Thursday that he believed both the health minister and his chief officer should resign following the well-publicised altercation and set an example. Ezzard Miller said he did not believe that the incident was unprovoked but regardless of why Bodden had lost his temper, what he did was unacceptable and it should not be tolerated. The minister, he said, should show the necessary political maturity and step down. He said that, given the circumstances, the chief officer should also resign as it was clear the two were no longer able to work together and that this disagreement would create a disruptive division in the ministry that would be hard to overcome.The independent member said Bodden should take responsibility for his actions and the people need to see accountability from their political leaders. But, he said, it would also set a good example for civil service accountability for Ahearn to resign as well, as she was not able to work with her minister. Miller is so far the only member of the Legislative Assembly other than Opposition Leader McKeeva Bush to comment at all about the incident following Premier Alden McLaughlin’s short official statement that the matter was being dealt with and he did not want to air the details in the press. Bush told The Cayman Compass that he did not have all the facts about what occurred in the ministry offices but based on what has been said the premier “couldn’t whitewash” the situation. No one else on the government benches has spoken about the incident. CNS has contacted the minister for labour and gender affairs but has received no response with regards to that ministry’s position on the health minister’s workplace behaviour and what appears to have been a bullying attack on his female chief. No details of the tirade, which was loud enough for most people on the top floor of the government administration building to hear, have been confirmed but CNS understands that the insults and profanities used by the minister focused on Ahearn’s nationality rather than her gender. The issue has raised considerable attention from the public at large, not just from the CNS commenters but across wider social media and on the local airwaves as well. Most of those participating in the online discussion on CNS and elsewhere are calling for Bodden to step down from his ministerial post and for government to act if he does not. However, it appears that the government is hoping that the public backlash on this issue, like the situation surrounding the police commissioner and the recruitment of a murderer to the RCIPS, among other sticky issues for the current administration, will go away. If it does not, the premier will be faced with a difficult decision on who can replace Bodden. The obvious candidate to take over is Alva Suckoo, who has worked with his Bodden Town senior colleague in the ministry as a councillor. However, although becoming increasingly popular with his constituents, Suckoo is believed to be less so in the party ranks as a result of his outspoken and independent position on a number of issues. He voted with the opposition on 'one man-one vote' when the PPM administration tried to deflect dealing with the change to the country’s voting system. He also defied the premier recently when he spoke out about the need for the police commissioner to be removed following the revelations about the recruitment of Tyrone Findlay to the RCIPS while he was under investigation for murder in Jamaica, and charged soon after. Suckoo has also been outspoken about the failure by government to do enough to tackle the increasing number of problems faced by local people in the labour market and the numerous employer infractions that are preventing Caymanians from having an equal opportunity at securing work. Anthony Eden had chosen not to take a ministry during this administration and it is very unlikely that the veteran politician could be persuaded to return to the Cabinet. Given the workload of Deputy Prime Minister Moses Kirkconnell, he probably not willing to give up his councillor, Joey Hew, so he is also an unlikely candidate to replace Bodden. The remaining backbench MLAs, who are both Coalition for Cayman members, are also unlikely to be a favourite choice, as that may prove too much of a coalition for the PPM leader to embrace. Julianna O’Connor-Connolly, who joined the PPM following the election result after she accepted the speaker's post, might be persuaded to return to ministerial office, leaving Eden, who is deputy speaker, to take up her post should the premier decide that 'Ozziegate' has left him no choice but to oust his PPM colleague. But this scenario would not be without its problems. Although O’Connor-Connolly has proved a popular choice for speaker as a result of her experience and competency in that job, there are still some uncomfortable issues surrounding her ministry during the last administration. Questions remain over her travel bill and the paving of private driveways with public cash on Cayman Brac, which may prove difficult for the PPM, which took a vocal stand against the issues when in opposition. (CNS): The Maricopa County Sheriff’s Office in Arizona State has donated a top crime fighting seven-year-old Beagle mix to the Cayman Islands Customs K-9 Unit to help with the detection of illegal narcotics. Blaze arrived on Saturday 13 December with K-9 Officer Deputy Sheriff Joe McLemore and Ioana Oancea from Arizona, who handed over the energetic dog in a short ceremony at Customs Headquarters, increasing the number of dogs in the unit to five. 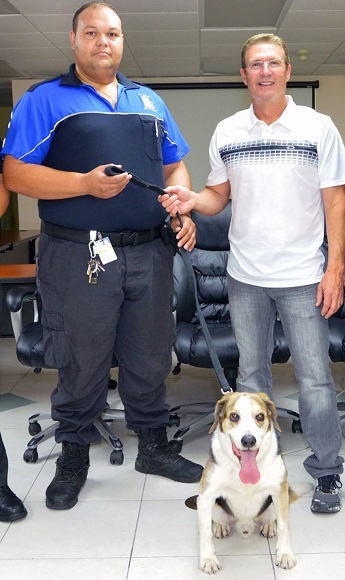 The dog, which has a track record sniffing out heroin, marijuana, cocaine and methamphetamines with ease, will work both the cruise port and the airport on Grand Cayman with his new handler, Tate McFarlane. Malachi Powery, the supervisor of the K-9 Unit, started the ball rolling to get Blaze when he was on holiday in Arizona and contacted his counterpart officer, Mike Milseps, in the sheriff’s office, with whom he had attended a bloodhound training course. The transfer had been in the works since June of this year. McLemore said his office would next attempt to donate a bloodhound. (CNS): Local health officials are offering the public a last chance to inoculate against flu this winter as there a few hundred shots left from the hospital order of around 3000. Dr Kiran Kumar, the director of primary health care, said the peak flu season is now underway and no more vaccine will be purchased but the remaining doses will be offered on a first come first serve basis at no cost to all residents and no appointments are necessary. People wanting shots can visit the general practice clinic at the Cayman Islands hospital, Faith hospital in Cayman Brac and all district health centres, from 2- 4pm Monday through Friday. Residents in Little Cayman should contact the clinic to make arrangements. For further information contact the Public Health Department on 244-2648. (CNS): Government is spending what could be millions of dollars annually on salaries for staff who are on required leave. A freedom of information request made by CNS last month to core government managers for the number of staff suspended from work, the reasons, the time period and the salary bracket has been largely ignored by most information managers but the handful that have responded offer a snapshot into how bad the situation could be. 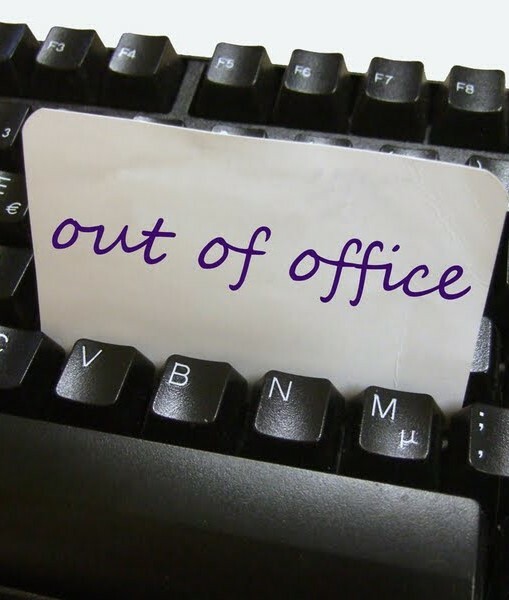 At Immigration alone, in addition to the recent announcements about the chief immigration officer and the director of boards being suspended, four other members of staff are on enforced leave, one of whom has been suspended for almost five years on a salary of over $45,000. The only other government agencies with staff on required leave that responded to the request was the customs department, where three people are being paid to stay at home, and the Ministry of Planning, Lands and Agriculture, where one member of staff was placed on leave just two months ago. According to the information supplied, all eight of these government workers have criminal cases pending in the courts. The longest suspension is at immigration, where a person has been under investigation regarding work permit board irregularities since January 2010, earning an annual salary of $45,384. A second person has been charged with breaches of the immigration law and has been on leave for more than two years, having been suspended on full annual pay of over$34,500 since August 2012. A third employee at immigration on the lowest salary of $32,880 was suspended in August of 2013 and faces charges of burglary. The fourth was suspended this July on a salary of over $42,500 while they await a court case relating to charges of assault and threats to kill. The immigration bill alone for staff on required leave, even without the recent addition of the two larger salaries, is already well in excess of $350,000. The customs department has three members of staff on leave who have been charged with undisclosed criminal offences. Two have been on full undisclosed pay for a period of between two and four years, while a third has been on leave for over one year. Given that customs officers earn around $40,000, the bill for the three members of staff there could easily exceed $200,000, not including their benefits. Meanwhile, just one member of staff at planning was placed on leave in October on full pay as a result of a criminal allegation but the salary amount was not disclosed. Only five other entities have responded so far indicating that there were no employees from their offices who had been suspended. However, CNS is pursuing the request, which is now past the thirty day deadline and has asked the Information Commissioner’s Office to intervene to help extract the information. 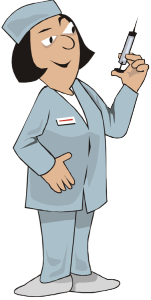 It is understood that the prison service, the RCIPS and in particular the education department, among others, all have staff that are being paid not to come to work for a number of different reasons. Check back to CNS for more on this story in the New Year as we attempt to piece together the government's salary bill for staff that are being paid to stay away for their jobs. (CNS): The police have arrested four robbery suspects following an armed stick-up last night at a liquor store in Grand Harbour. An RCIPS spokesperson said that three men with what were described as guns, entered Blackbeard's Liquor store at the shopping centre next to Hurley's at 7:41pm. The men demanded and stole an undisclosed sum of money from the store’s cash register and also robbed a customer of a cell phone and cash. The offenders left the location in a black SUV, heading in an easterly direction. No shots were fired during the incident and no injuries were reported. 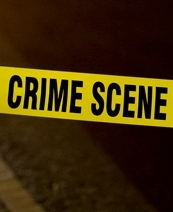 The police said that shortly afterwards four men aged between 21 and 25 years old from Prospect and George Town awere arrested in connection with the robbery. Anyone who was in the area at the relevant time and saw or heard anything suspicious that can assist the investigation is asked to contact the George Town Police at 949-4222, the RCIPS tip line 949-7777 or Crime Stoppers 800-8477 (TIPS).